Friends of Bethlehem Public Library supports cultural and educational programs for the community and assists the library with special projects and purchases not covered by traditional funding. Print and mail a copy of the Friends membership application (pdf) or make a special donation at any time. Thank you for your continuing support. Summer 2019 Glimmerglass bus trips have been announced! Finger Lakes wine tour rescheduled for September. 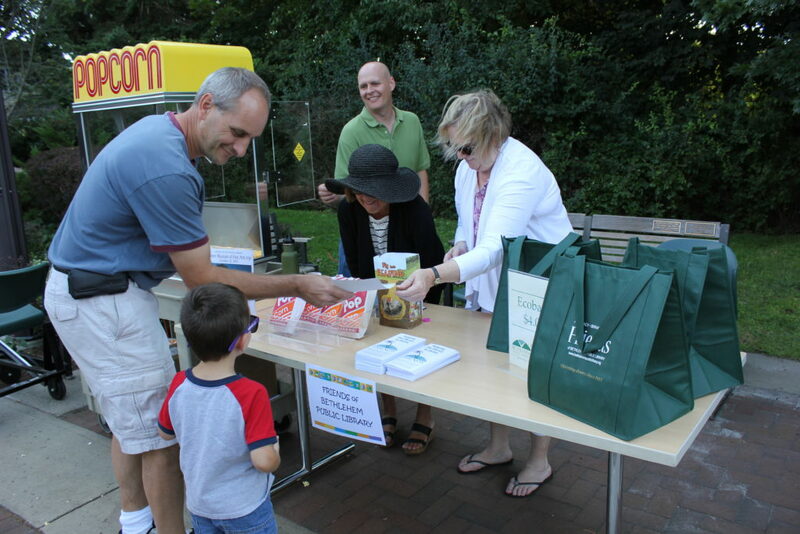 Serve on the Friends’ board of directors or volunteer at Friends-sponsored library events. Contact Friends liaison Geoffrey Kirkpatrick at (518) 439-9314, ext. 3022, or any Friends board member. Learn about advocacy for libraries. Joe and Naomi Storch founded the Krakower-Storch Family Technology Fund with a lump-sum donation of $1,000, and pledged to match up to $1,000 of other donations to the fund each year for five years. The money is used to purchase items for the library’s collection that use technology to inform, educate or entertain. The fund was established in honor of Naomi and Joe’s parents, Judith and Stephen Krakower, Genie Storch, and Sam Storch, and their grandparents, the late Nathan and Rita Romm, the late Israel and Betty Tenenbaum, the late Minnie and Eliot Storch, Richard and Eleanor Krakower, and Sonya Rose. The Friends board meets on the third Monday of every other month at 6:30 p.m. The annual meeting is held the third Monday in December at 6:30 p.m. All meetings are open to the public.